Conference Series LLC Ltd cordially invites all the participants across the globe to attend the “10th Annual Congress on Biomarkers,Clinical Research&Therapeutics” during October 03-04, 2018 at LosAngeles, USA which includes prompt Keynote presentations, Oral talks, Poster presentations and Exhibitions. Biomarkers 2018 is organized around the theme: “latest advancements in the field of Biomarkers & Clinical Research”. Biomarkers, in the hands of clinical investigators, provide a dynamic and powerful approach to understanding the spectrum of diseases with obvious applications in analytic epidemiology, biomarkers and clinical research in disease prevention, diagnosis and disease management. Biomarkers have the additional potential to identify individuals susceptible to particular diseases. This conference is a podium that brings and shares collective knowledge and research explorations in biomarkers study. . In the recent years, the information about cancer biomarkers has increased largely providing a huge potential for improving the management of cancer patients by improving the accuracy of detection and efficacy of treatment. Latest technological advancements have enabled the examination of many possible biomarkers and renewed interest in developing new biomarkers. All such developments can be evidenced in this biomarker congress. A comprehensive discussion of the significance of each biomarker like pharmacodynamics and toxicodynamics of protein biomarkers, analytical biomarkers, and epigenetic biomarkers is going to be held in this biomarkers congress. This conference also includes symposia and workshop events. The global cancer biomarkers market for 2007 was $3.6 billion and is expected to grow at a 6.3% CAGR (Compounded Annual Growth Rate) to reach up to $6.3 billion by the end of 2017. A number of factors such as the rising demand for personalized medicine and companion diagnostics has raised the value of biomarkers in the healthcare sector. The global biomarkers market is expected to grow at a 18.5% CAGR from 2013 to 2018, to reach $40.8 billion by 2018. The cancer biomarker conferences are very much encouraged to spread the knowledge of constant revelations and scientific research updates in these days. With members from around the world focused on learning about biomarkers and cancer biomarkers, and its advances; this is your best opportunity to reach the largest assemblage of participants from the biomarker community. Conduct presentations, distribute information, meet with current and potential scientists, make a splash with new drug developments, and receive name recognition during this two-day event. World-renowned speakers, the most recent techniques, developments and the newest updates in and cancer biomarkers are hallmarks of this conference. Conference Series LLC Ltd is organizing Biomarkers Conferences in 2018 at Los Angeles, USA. We organize Biomarkers Meetings in the fields related to Cancer, Cancer theraputics, pharmacodynamics and toxicodynamics of protein biomarkers, analytical biomarkers, and epigenetic biomarkers etc. Conference Series LLC Ltd invites all the participants from all over the world to attend '10th Annual Congress on Biomarkers,Clinical Research&Therapeutics' to be held during October 03-04, 2018 at Los Angeles, USA which includes prompt Keynote presentations, Oral talks, Poster presentations and Exhibitions. Biomarkers 2018 is a platform to discuss and learn about the latest advancements in the field of Biomarkers and Clinical Research and their journey from labs to industry scale production. Biomarkers have been a great tool in the new generation diagnosis, prognosis and treatment of various diseases. Biomarkers include proteins, lipids, DNA, RNA and several other components in the body. Their applications in some disease pathologies have gained a prominence over period like in cancer and Alzheimer’s diseases. Advanced studies in these fields also opened up a wide scope in development of medical tools and technologies like imaging and companion diagnostics. People form American Oncology society and European Oncology society have been doing research in the field of biomarkers. 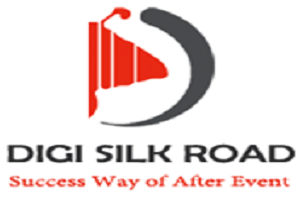 Conference Series LLC Ltd the host of this conference is comprised of 3000+ Global Events with over 600+ Conferences, 1200+ Symposiums and 1200+Workshops on diverse Medical, Pharmaceutical, Clinical, Engineering, Science, Technology, Business and Management field is organizing conferences all over the globe. Biomarkers are key molecular or cellular events which link a specific environmental exposure to a health outcome. Biomarkers play an important role in understanding the relationships between exposure to environmental chemicals, the development of chronic human diseases and the identification of sub-groups that are at increased risk of the particular disease. A biomarker is an appropriate tool which can be equitably measured and can act as an indicator for physiological as well as pathological progress or pharmacological response to any therapeutic intervention. Classical biomarkers detect quantitative alteration in blood pressure; blood lactate levels post exercises, and blood glucose in diabetes mellitus. A biomarker, or bio indicator, for the most part alludes to a quantifiable pointer of some organic state or condition. The term is additionally infrequently used to allude to a substance the nearness of which demonstrates the presence of a living being. 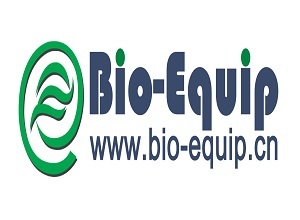 Environmental Assessment also carried out in the natural or synthetic form as bio-monitoring. Encourage, life structures, life events for Interim analysis. Biomarkers are regularly measured and assessed to look at ordinary natural procedures, pathogenic procedures, or pharmacologic reactions to a restorative mediation. A biomarker can be anything which can be precisely measured as a pointer of ordinary organic working, pathogenic ways or a medication reaction to a restorative medication intercession. Atomic biomarkers are the biomarkers for the most part in sub-atomic frame. Atomic biomarkers partake in different purposes, including illness analysis and visualization, forecast and computation of treatment reaction and wellbeing assessment. The atomic biomarkers are only being created and approved to be utilized as a part of medication improvement, and used to bolster endorsement of medication items. Molecular Biomarkers Discovery: Biomarker disclosure requires exceedingly guaranteed distinguished proof of a biomarker particle with constant quantitative data to demonstrate which proteins are changing to a factually correlated degree in light of infection. The revelation of atomic biomarkers has grown new systems beginning from the underlying strides. In the main phase of biomarker disclosure procedures, examination relies on mass spectrometry systems to make unprejudiced, semi quantitative investigation of changes amongst solid and sick states. The slant of plausible sub-atomic biomarkers produced in the revelation stage is to be further substantiated because of the high false positive rate. It is done by supplemental more focused on and quantitative mass spectrometry procedures, for example, immuno fondness peptide enhancement. Current genomics and biotechnology promise the development of biomarkers to a state to predict individual disease risk which enable early detection of disease and improve diagnostic classification to better inform individualized treatment. Biomarkers are biological measurements which can be used to predict risk of diseases, to enable early detection of disease, to improve treatment selection and to monitor the outcome of therapeutic interventions. The major objective of the Human Genome Project was the identification and development of such biomarkers for ‘personalized, preventive and predictive medicine’. The indicative process of the presence of cancer in the body is carried out by tools known as cancer biomarkers. A biomarker may be a molecule secreted by a tumor or a specific response of the body to the presence of cancer. There are different types of cancer where biomarkers have their application such as lung, melanoma, breast, colorectal, pancreas and many more. Biochemically, cancer biomarkers can be DNA (germline or somatic), RNA, proteins, peptides, hormones, metabolites and even biological processes such as apoptosis, angiogenesis or proliferation. There are three major types of cancer biomarkers based on their clinical use: prognostic, predictive, and pharmaco-dynamic markers. A biomarker is a distinctive tool or agent which can be equitably measured as an indicator of commonly biological processes, pathogenic processes or a pharmacological response to a therapeutic intervention. Biomarkers can be used for many purposes including disease diagnosis and prognosis, prediction and assessment of treatment response. Also, Biomarkers are used as an indicator of a biological factor that represents either a sub-clinical manifestation, stage of the disorder, or a surrogate manifestation of the disease. The potential uses of this class of biomarkers include, firstly as identification of individuals destined to become affected or who are in the “pre-clinical” stages of the illness, secondly, reduction in disease heterogeneity in clinical trials or epidemiologic studies, third, reflection of the natural history of disease encompassing the phases of induction, latency and detection, and finally, target for a clinical trial. The major uses of biomarkers in clinical investigation are in the form of clinical trials and monitoring. The entire spectrum of disease from the earliest indication to the terminal stages may be resonated through biomarkers. Field studies on biomarker are generally done on the environmental assessment based on aquatic contamination by seeing the aqua life or by understanding the normal habitat change of different organism. Biomarkers also show the best relationship between its response when compared to the health/ecological effect. It provides variety of human and animal materials principally through immuno-assays and quantitative PCR can be analytically determined at Biomarker Laboratory. Growth research is fundamental research into tumor to recognize causes and create methodologies for aversion, analysis, treatment and cure. Growth investigations range from the study of disease transmission, sub-atomic bioscience to the execution of clinical trials to assess and think about utilizations of the different malignancy medicines. These applications incorporate surgery, radiation treatment, chemotherapy, hormone treatment, immunotherapy and consolidated treatment modalities, for example, chemo-radiotherapy. Beginning in the mid-1990s, the accentuation in clinical diseases explorations moved towards treatments derived from biotechnology research, for example, tumor immunotherapy and quality treatment. The Biomarkers discover its important application in the field of clinical innovative work by contextual investigation and information administration as obvious through Biomarker meetings. The Bioethics and protected innovation right builds up the standards and standard of direct of theory concerning clinical approval of biomarkers. The fusion of biomarker in clinical trials for several health disorder conditions will advance a legitimate indicative and remedial approach using even the medicinal gadgets to recognize clinical biomarkers. Right now this is a blasting business. A large portion of the presumed associations like Pfizer, Parexel and Quintiles are into clinical innovative work. The organizations, doctor's facilities and clinical research associations are the problem areas for directing clinical research with its development rate expanding exponentially by an expected 75B$ by 2016.In clinical innovative work, clinical biomarkers are utilized as a part of contextual analysis and information administration, clinical trials and in therapeutic gadgets. Biomarkers inquires about takes after a continuum that starts with disclosure and continues through approval to the possible execution of biomarkers in a clinical setting. Biomarker disclosure requires high certainty recognizable proof of biomarker applicants with concurrent quantitation data to demonstrate which proteins are changing to a factually significant degree in light of infection. Biomarker competitors distinguished in disclosure should be approved utilizing bigger example sets covering an expansive segment of patient companions. To maintain a strategic distance from a potential bottleneck connected with taking countless to approval, a confirmation step is utilized to screen potential biomarkers, to guarantee that lone and the most noteworthy quality leads from the disclosure stage are taken into the exorbitant approval arrange. The check arrangement requires a high throughput work process with at least specimen planning which gives both high specificity and affectability. Also, the confirmation stage can affirm that a specific philosophy is reasonable to be utilized as a part of the approval stage. Clinical trials are tests done in clinical research. Such imminent biomedical or behavioral research thoughts in human members are intended to answer particular inquiries regarding biomedical or behavioral mediations, including new medications, (for example, novel antibodies, drugs, dietary decisions, dietary supplements and medicinal gadgets) and known intercessions which warrant additional studies and examinations. Clinical trials produce information on security and viability. Biomarker testing is a group of tests which aims to look into the molecular signs of health so that doctors can plan the best care regimen. Biomarker testing can also be called as genetic testing or biomarkers testing. Biomarkers, a foundation of precision oncology, are very important in management of breast cancer, gastro-esophageal cancer and non-small cell lung cancer. Testing practices are intensely deliberated, influencing diagnostic quality and affecting pathologists, oncologists and patients. The advances in biomarker testing are mainly in the fields of genetic testing, cancers and other diseases in their diagnosis, treatment and imaging. In silico biomarkers, microRNA biomarkers and several other clinical biomarkers have evolved in the recent researches and have broadened the path for biomarker testing. Translational prescription regularly alluded to as translational science, (of which it is a frame) is characterized by the European Society for Translational Medicine (EUSTM) as an interdisciplinary branch of the biomedical field bolstered by three primary columns: benchside, bedside and group. The objective of TM is to consolidate disciplines, assets, mastery and strategies inside these columns to advance upgrades in aversion, analysis and treatments. As needs be, TM is a very interdisciplinary field, the essential objective of which is to mix resources of different natures inside the individual columns keeping in mind that the end goal is to enhance the worldwide social insurance framework altogether. Recently there has been an enhanced and advanced biomedical technology such as high-throughput molecular imaging and microarrays to monitor SNPs, gene and protein expressions, to provide exhaustive situations for individuals. The biological and medical status from such data sets, which are viewed as biomarkers in a wide sense to help in carrying out identification, association and prediction studies for phenotypes such as cancer subtypes, prognosis, treatment responsiveness and adverse reactions for personalized medicine. A case report is an elaborate report of the symptoms, signs, disease diagnosis, treatment, and follow-up of an individual patient usually recorded in medical field. Case reports might comprehend a demographic profile of the patient, but typically mention any unusual or unique occurrences. In this conference case reports on biomarker diagnostics, drug discovery and imaging are discussed in detail with relevance to molecular and cancer biomarkers. Cancer biomarkers conferences are a big platform to study case reports of these in precision. A key ingredient in successful entrepreneurship is self-knowledge. Biomarkers-2018 aims to bring together all existing and budding bio-entrepreneurs to share experiences and present new innovations and challenges within the cancer community. Each year, over a million companies operate in the world with about 5–10 of them being classified as high technology companies. Turning ideas into business ventures is tricky and the opportunity-recognition step is critical in new venture creations. This gestalt in the entrepreneur's perception of the relationship between the invention and final product is refined into a business model that describes how the venture will make money or provide an appropriate return to the potential investors. Cancer science is complex and rapidly changing and requires a specialized knowledge to understand the value of the innovation and its competitive position in the industry. This three day community-wide conference will be a highly interactive forum which will bring experts in areas ranging from Biomarkers to signaling pathways to novel therapeutic approaches to the scientific hub. Diagnostic biomarkers are minimal or non-invasive tools. Biomarker, integrated with key imaging and data management technologies, is meeting the market expectations; however, it has its own set-backs too. Biomarkers are used in imaging technology to provide clear imaging of oncology tumors and other problems and also eliminate chance of radiation exposure during imaging through CT scan and MRI scan. 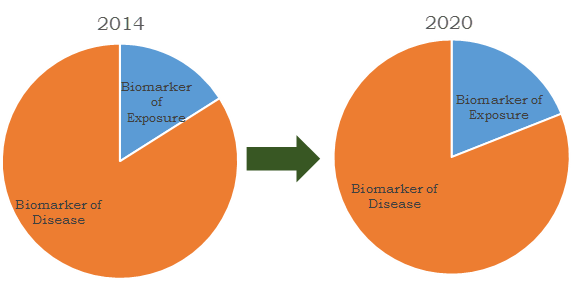 The biomarker market in this report includes the application of biomarkers in the diagnosis (molecular diagnosis and disease diagnosis), drug validation, drug development, risk assessment, drug formulation and forensic applications. Technologies which immensely make use of biomarkers such as Omics, imaging technologies, bioinformatics and personalized medicines are also included in the study. The report however excludes the application of biomarkers in the clinical trials, research and other environmental biomarkers. 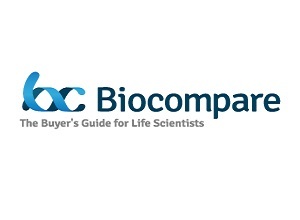 This report focuses keenly on the market assessment of diagnostic biomarkers across its extensive application segments. Diagnostic biomarkers are divided in two major types which include biomarkers of exposure and biomarkers of disease. Biomarkers of exposure are an emerging technology for identifying the hazardous chemical level in individual body. These biomarkers enable the diagnosis of abnormal activities to predict the pre-disease condition. Biomarkers of disease are used in identification of disease condition and also help in validation of clinical trials for novel drug. Diagnostic biomarker market is growing with development of technologies in clinical laboratory tests, imaging exams, and in recent years biomarker tests are impacting the clinical management of patients. Biomarkers are identified conventionally by analyzing the science of pathophysiology and epidemiology, which derive insensitive and nonspecific markers. Diagnostic biomarker technology is expected to transform the scenario of clinical research, medical practice and drug development, as technological advances are changing from conventional approach of pathophysiology/epidemiology to biomarker studies such as genomics and proteomic. 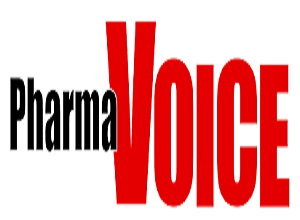 The volume of information provided by the biomarker helps in pharmaceutical drug development, diagnosis of critical diseases and in clinical trial of drugs. The diagnostic biomarker technology provides simple diagnostic treatments so that pathologists could perform faster, accurate disease identification, consequently resulting in the physician to prescribe better treatments for those diseases. Though as of now there has been immense developments in infrastructure for data sharing and analysis such as bioinformatics, the utility is not at its best. Furthermore, there is no standard regulatory framework globally. For example, countries in the European Union and other regions have their own set of regulations, which may be a bigger challenge in conducting transnational research and data sharing. However, the role of biomarkers is increasing with its crucial application in diagnosis of fatal diseases such as cancer and cardiovascular diseases. Biomarkers in these cases enable early diagnosis and are of immense importance in designing effective treatments and progress. Reimbursement issues are being solved with the intervention of regulatory authorities, which is expected to propel the growth of the market for diagnosis at commercial level. 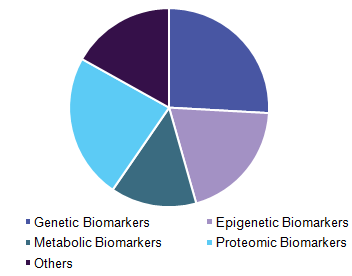 Global Diagnostic Biomarker report segments the market into three categories; market by technologies, market by services and market by diseases. These markets are expected to show elevated growth in future as biomarkers are providing diagnostic service for complex diseases. As it is a non-invasive procedure, it motivates the use of biomarkers than conventional diagnostic applications. This report focuses on key factors impacting the diagnostic biomarker market used in risk assessment, molecular diagnostics, disease diagnosis, drug discovery and development, drug formulation, forensic applications and others. Diagnostic biomarker and its applications in emerging segments of omics, imaging technologies, personalized medicine and bioinformatics are all discussed in detail. Asia-Pacific biomarkers market is segmented based on the product, type, application, and disease indications. Based on product, the market is further sub-segmented as consumables, softwares and services. Based on type, the market is segmented as safety biomarkers, efficacy biomarkers, and validation biomarkers. Biomarkers application is further segmented as diagnostics developments, drug discovery and developments, personalized medicine and disease risk assessment. Based on disease indications, the market is segmented as cancer, cardiovascular, neurological and immunological disorders. Heart diseases are the leading cause of death worldwide and Asia Pacific has the significant share especially in coronary heart diseases. Diagnosis for cardiovascular diseases is done through conventional methods such as clinical observation, electrocardiogram (ECG) findings. According to data published by Ministry of Health in China, about 203 million people are suffering from cardiovascular diseases and this number is expected to rise by 73% in 2030. Projected trends in blood pressure, increased cholesterol and active smoking are also responsible factors behind the growing number of CVD by an additional 23% which denotes 21.3 million cardiovascular events. Demographic changes such as aging population and lesser younger people is the main driver for increased CVD disease. Biomarker market is expected to increase its presence as biopharmaceutical companies are investing more in Asian countries for drug discovery and development since market for health care process is more in Asia Pacific region. Application of biomarkers in drug discovery and development process, personalized medicine, molecular diagnosis, and diagnosis of other diseases have increased the interest of research based pharmaceutical companies to develop novel biomarkers. Importance & Scope: For companies with an effective strategy, market opportunity awaits. Importantly, the ability to develop an effective strategy begins with where opportunity exists and ends with how to effectively execute in order to capture profit from opportunity. The biomarkers market presents the largest of all opportunities in representative disease sub segments. This study investigates one of the most important market drivers: the introduction of combination therapies, which are expected to continue to contribute substantially to market growth through the forecast period. This report analyzes emerging markets by disease segment. Continued growth is expected in emerging geographies, driven by the growing middle class in emerging countries such as India, China, Brazil and Russia. 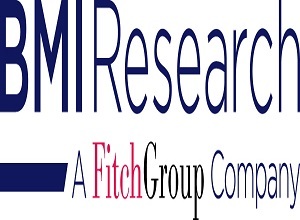 This report seeks to address the critically important topics of analyzing a changing market dynamic, emerging players and technologies, strategies for accessing emerging markets and specific disease segments and geographies in order to allocate resources and make effective decisions. Scope of Report: Current and projected product forecasts during the forecast period (2013 to 2018) are discussed. In addition, new products approved in 2012 and 2013 by the FDA, and those products expected to be approved within the forecast period, are projected. Figures are estimated for 2013, except where actual results have been reported, due to the timing of the release of the report. For all areas, including very large markets segments such as infectious disease and cardiovascular, specific mechanisms of action are discussed in detail. Market figures include the bundled value of the drug and the biomarker as it is impossible to quantitate the composite values of each. The report includes an analysis of leading and emerging competitors in the current worldwide biomarkers market. Profiles of manufacturers of leading products as well as biotechnology companies with novel products in development are analyzed to define their specific product strategies. Los Angeles officially the City of Los Angeles and often known by its initials L.A., is the cultural, financial and commercial center of Southern California. With a U.S. Census-estimated 2016 population of 3,976,322 it is the second most populous city in the United States (after New York City) and the most populous city in the state of California. There are three public universities located within the city limits: California State University, Los Angeles (CSULA), California State University, Northridge (CSUN) and University of California, Los Angeles (UCLA). There are 841 museums and art galleries in Los Angeles County. In fact, Los Angeles has more museums per capita than any other city in the world. A notable museum is the Los Angeles County Museum of Art (the largest art museum in the Western United States). For Biomarkers mainly the target audiences are Oncologist, Pathologist, Haematologist, Immunologist, Clinical Researchers, Nursing, Cancer Researchers, Scientists, Young researcher, Student, Biomarker Associations and Societies, Business Entrepreneurs, Training Institutes, Software developing companies, Manufacturing Medical Devices Companies, Data Management Companies, Pharmaceutical Companies and Diagnostics Companies. The success of the Biomarkers & Clinical Research Conference has given us the prospect to bring the congregation one more time. Conference Series LLC Ltd hosted the “10th World Congress on Biomarkers & Clinical Research” during October 18-20, 2017 in Baltimore, Maryland, USA. The conference was focused on Biomarkers & Clinical Research studies with the theme ‘’Latest discoveries and innovations in the field of Biomarkers & Clinical Research”. The meeting engrossed a vicinity of comprehensive discussions on novel subjects like Biomarkers, Cancer Biomarkers, Molecular Biomarkers, Biomarkers for Immuno-Oncology, Biomarkers in Clinical Research & Development, Biomarkers and Drug Discovery, Biomarkers and Pathology, Biomarkers for Disorders, Biomarker Discovery, Verification & Validation, Personalized Medicine and Data Analysis, Cancer Research, Clinical Research, Clinical Trials, Translational Biomarkers & Diagnostics, Biomarkers & its Diseases, Functional Genomics and Cytogenetic Biomarkers, Omics Technologies in Biomarkers Discovery and Validation, Techniques to Maximize Biomarker Identification, Biomarkers and Pharmacology. Conference Series LLC Ltd offers its heartfelt appreciation to Organizing Committee Members, dexterous of field, various outside experts, company representatives and is obliged to other eminent personalities who interlaced with Conference Series LLC Ltd and supported the conference in every aspect, without which the conference would not have been possible. Your rejoinder is our inspiration; keeping this motto in mind and being witnessed the triumph of Biomarkers 2017. Conference Series LLC Ltd would like to announce the commencement of the “10th Annual Congress on Biomarkers, Clinical Research & Therapeutics” to be held during October 03-04, 2018, Los Angeles, USA. We welcome all the eminent researchers, students and delegate participants to take part in this upcoming conference to witness invaluable scientific discussions and contribute to the future innovations in the field of Biomarkers & Clinical Research.